​​​ EL PASO - The area’s first Whole Foods Market will open Oct. 19. The 50,000-sf store ​is located at 100 Pitt St. off of Mesa St. near Resler Dr. in West El Paso. It will employ 160 people with 90 percent of the employees being from the El Paso area. 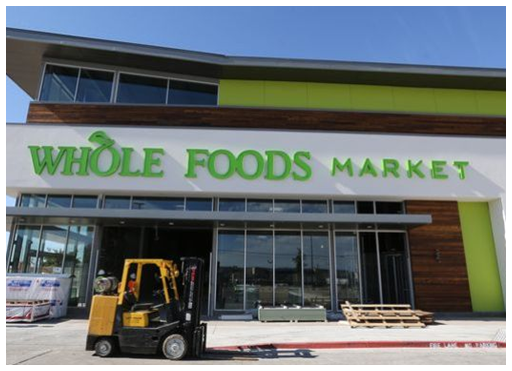 The El Paso store will have several features not found at other Whole Foods' locations, including the Thunderbird Taproom and a taqueria operated by Isabella Foods of El Paso as a food-court style restaurant inside the store. Besides selling tacos and burritos, Isabella Foods also will make tortillas to sell in the store. The El Paso location also will be the first in the chain to have a Grillworks, a wood-fired grill to charbroil meats used in pizzas, sandwiches, and other prepared-food sold at the store. The store's design is custom-fitted for the El Paso area, and it will sell dozens of products produced in and around the El Paso area.